Without a doubt, Star Wars: Rogue One was one of the biggest movies of 2016, and certainly a nice follow-up to J.J. Abrams’ superb The Force Awakens from 2015. Rogue One was another hit for Walt Disney last year, grossing more than $1 billion at the box office and proving that the Star Wars spin-off movies might end up being as good as the mainline series. Because the truth is that Rogue One not only had great characters and story, but also showed us the dark side of the Rebel Alliance, while it is also the first Star Wars movie to end on a tragic note but still leave fans satisfied at its conclusion. So those who enjoyed Rogue One will no doubt be happy to know that we won’t have to wait that long to enjoy the movie again, as director Gareth Edwards’ film will be released on Blu-ray and DVD on April 4 this year. And the Blu-ray release of the film will come packed with a slew of bonus features, including one about the funny droid K-2SO, another about actor Diego Luna’s complex character Cassian and another which focuses on the Empire and the helmeted villain Darth Vader, amongst others. 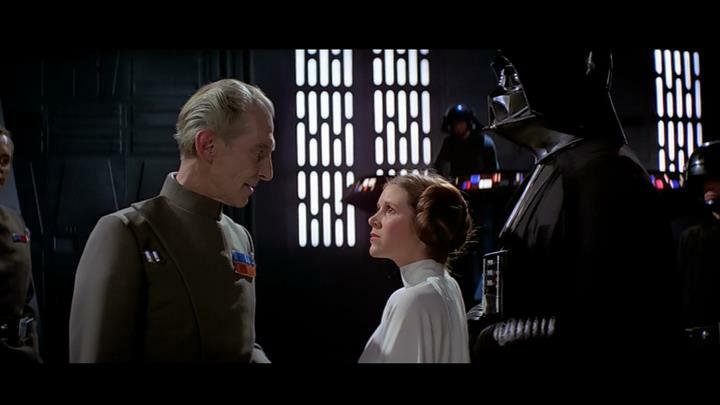 But perhaps the most interesting of these is a feature titled “The Princess & The Governor”, explaining how the character of Governor Tarkin was brought back to life for this latest Star Wars movie. Cutting-edge special effects brought Peter Cushing’s character Tarkin (right) back to life for Rogue One. 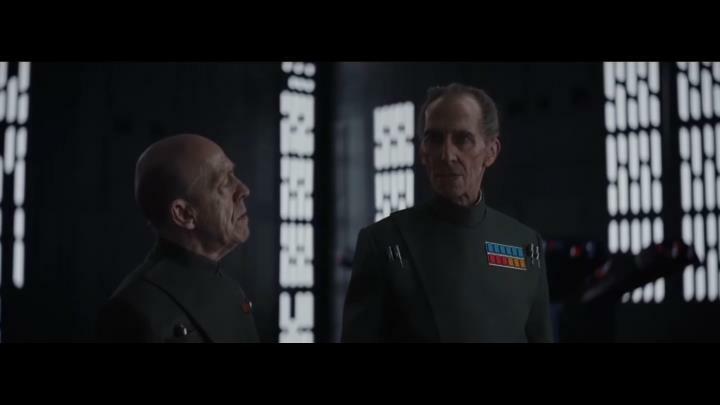 This is because director Gareth Edwards was faced with the dilemma of either having to recast Tarkin (who was played by actor Peter Cushing in the original classic Star Wars movie, but passed away in 1994), or bring him back to life using CGI trickery. Edwards picked the latter, and it certainly is a triumph for special effects technology that audiences were able to see the character of Tarkin in a Star Wars movie again. Actually, Peter Cushing’s CGI likeness felt like a real flesh and blood actor, and was perfectly integrated in the movie, which is no small feat. Although this also was thanks to some fine work by actor Guy Henry, who did motion capture work for the film. This feature in the Star Wars Blu-ray also covers how a young version of Princess Leia was put into the movie, which although wasn’t as impressive an special effect like the CGI Tarkin, still likely made audiences smile at the end of this latest Star Wars film. So this will certainly be a Blu-ray release to look forward to then, and one which will likely be cherished by Star Wars fans the world over, who will be eager to add this latest Star Wars movie to their collection no doubt.